Price: Prices vary, Register Now. The TowneBank Outer Banks Marathon, follows its way through the natural beauty that is North Carolina’s Outer Banks. Come run with us and cover some spectacular ground! After finishing the Outer Banks Marathon, you will have run one of the most beautiful parts of the East Coast – but don’t take our word for it – come see for yourself! 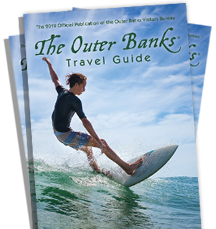 The TowneBank Outer Banks Marathon is a Boston Marathon qualifying race. There is something for Everyone: • TowneBank Outer Banks Marathon • Southern Fried Half Marathon • Southern 6 • Take the Challenge! • 8K & 5K • Family Fun Run Medals for all Finishers!